The sweet, seedless, easy-peeling Navel Orange is a classic. If you&apos;re not sure what to buy and want to stick with a popular favorite, the Navel is a great choice. You probably already know about the Navel Orange&apos;s most distinctive feature — its “navel,” the belly-button-like mark at one end of the fruit. This is actually a tiny “extra” fruit — how about that? Otherwise, the Navel stands out for its relatively large size, moderately thick peel, and bright, handsome color. It&apos;s a beautiful orange. 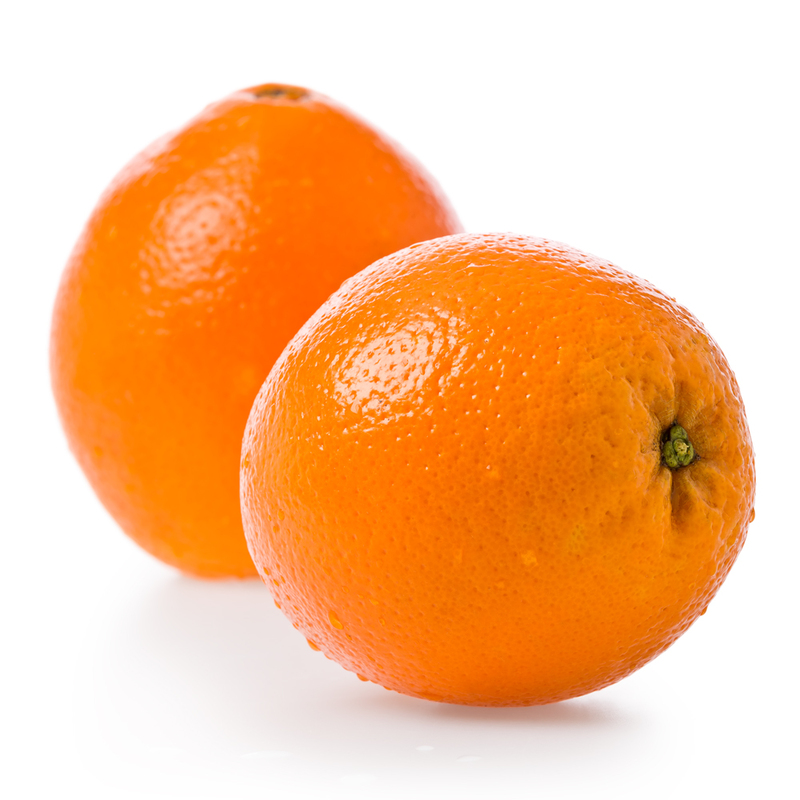 The Navel is a sweeter, low-acidity orange with a great typical orange flavor. While the Navel Orange is plenty juicy enough for eating enjoyment, it&apos;s not quite as “drippy” as some other varieties. This is an advantage for snacking out of hand — the sections are firmer and easier to handle, and you&apos;re less likely to end up with juice all over your shirt! The Navel Orange is considered a seedless variety. While there&apos;s a slight chance you&apos;ll encounter an occasional rogue seed, most fruits will be without any at all. The Navel is a perfect orange for eating out of hand. It&apos;s easy to peel, and it sections up beautifully. It&apos;s probably the orange you enjoyed as a young child (unless you were lucky enough to live near citrus groves and had a wider selection available to you). In fact, it&apos;s one of the most popular orange varieties in the world. Navel oranges are at their peak from November through January. For this reason, they&apos;re often associated with the holiday season. You may also find Navels later in the year, but they&apos;re freshest and sweetest during the winter. Because the Navel is a seedless orange, it can only be grown by grafting, a process where tissue from one tree is joined to another. All the Washington Navel Orange trees in the world are genetically identical to each other! One of the first Navel Orange trees in the United States is over 140 years old and still alive today in Riverside, California. This tree and one or two others grown on the same farm started the original Navel Orange boom. According to researchers, the Navel Orange came about as a result of a “bud sport” or single-branch mutation found on an orange tree at a Brazilian monastery in the early 1800s. An unknown planter introduced the Brazilian Navel to Florida in the 1830s, but his small grove was later burned in the first Seminole War. The Navel then wasn’t heard from for a bit until it was introduced to California in the 1870s, after which its popularity really took off. These oranges have been grown in Florida for over 170 years, making them a classic Florida fruit in more ways than one.